NEW: Join us for our TEST KITCHEN TABLE every Tuesday & Wednesday evening for a curated dining experience where Executive Chef Timothy Meyers gets to experiment with bold new flavors and you get an insider look at what's going to be the next item on our menu. For only $70 per guest, enjoy a curated four-course menu focused on seasonal ingredients with optional wine pairings for an additional $35. With only 12 seats, this intimate dining experience is fit for foodies. TO RESERVE PLEASE CALL (212) 302-3838. Charlie Palmer Steak New York at Archer Hotel New York taps into midtown’s vibrant and dynamic energy, serving up bold flavors in big city style. Reflecting celebrated chef Charlie Palmer’s progressive American cooking, the seasonal menus showcase the region’s exceptional resources, primarily from the surrounding Northeast and Mid-Atlantic waterways and farmlands, to represent Manhattan's cultural crossroads and highlight the craft of local distillers, brewers and artisanal winemakers. NEW: Join us for our TEST KITCHEN TABLE every Tuesday & Wednesday evening for a curated dining experience where Executive Chef Timothy Meyers gets to experiment with bold new flavors and you get an insider look at what's going to be the next item on our menu. For only $70 per guest, enjoy a curated four-course menu focused on seasonal ingredients with optional wine pairings for an additional $35. TO RESERVE PLEASE CALL (212) 302-3838. Best oysters & steak I’ve ever eaten, a very memorable & enjoyable evening. Food & service was faultless. I was excited to eat here, after having dined at many other Palmer restaurants. Unfortunately, the attention to detail wasn’t there. In general the wait staff was very attentive, with the exception of forgetting one of our side dishes. Furthermore, my dining companion ordered his steak Med well, after a discussion with the waiter about not ordering it well done. Then, it came out... between rare and med rare. It was rectified, but took a while. Overall, for the price, the experience should’ve been better. Had a great evening at Charlie Palmer's. Food was good, staff were friendly and very accommodating. My only complaint, we had a couple who brought their child under the age of 2 who was running around most of our meal. The staff were clearly trying to be polite since they weren't busy at the time, but we could tell they too we're upset that the family was not controlling their child. You spend too much money at this restaurant to have a child running around interrupting your meal. Very expensive steak cut, about $80. I’ve had much better for less. 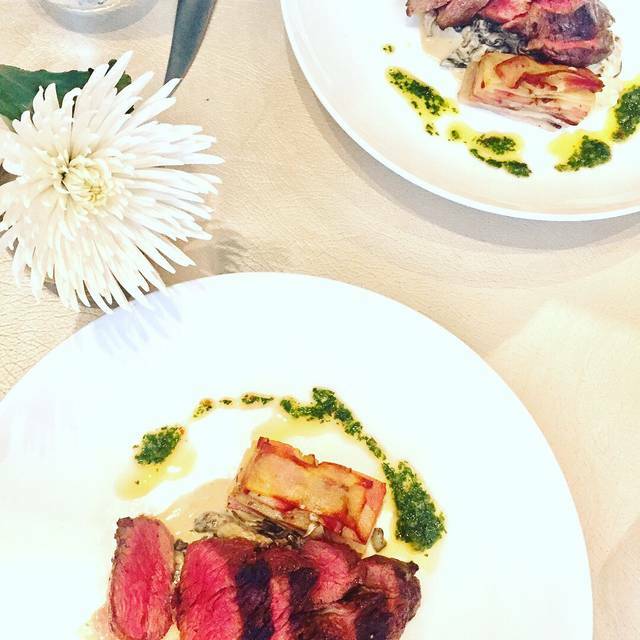 Wonderful service accompanied by delicious well presented food! Good steakhouse at the base of a hotel. Liked the menu with the color code for steak preparation. Wonderful! Great service, beautiful ambience and delicious food. My filet mignon was tender and cooked perfectly, and my husband's NY strip steak was also delicious and done to perfection. 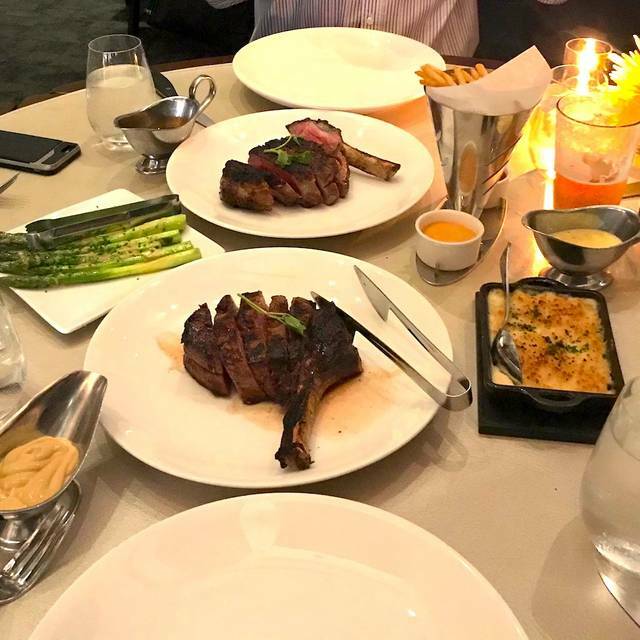 I and friend went to Charlie Palmer Steak for a late lunch, early dinner at 4pm. Upon arrival we were given the dinner menu even though online it states lunch is on till 5pm. We asked for the lunch menu and were given it without a fuss, but would have liked it offered first. We shared a Bibb salad, which the waiter had split in the kitchen and was delicious. I then ordered a Charlie Palmer steak sandwich from the lunch menu and my friend had the Scottish salmon from the dinner menu, and we ordered a side of roasted Brussels sprouts. I questioned my friend about the lack of bread, but thought maybe this was one of the restaurants you now have to ask for bread and since I was having a sandwich, let it go. The salmon was delicious, according to my friend, but the steak sandwich left a bit to be desired. Though cooked as asked, it had no distinct taste and the sandwich hero bread was bland. The French fries that came with the sandwich were good. Upon receiving our food, we noted to the waiter we hadn’t received our Brussels sprouts. He checked and said they were coming. It seemed they weren’t ordered and were being made ad we ate our meal. This meant we waited till we were practically finished before getting the sprouts and they were not completely roasted or caramelized, as it should have. Probably since they had to rush the cooking. We then ordered coffee. Upon this order, we were informed that the restaurant was comping us a dessert, which was delicious, and the coffee to compensate for the Brussels sprout mix-up. We appreciated this and were satisfied until we noticed other diners around us were being served bread. Not sure if why we weren’t offered any was the time of the reservation, which makes no sense, or some other reason. Though the ambiance is very nice and the salad and salmon were good, the other mix-ups leads me to only rating this restaurant as fair. The blandness of the steak sandwich was really surprising since this is a steak joint. Incredible experience and delicious food. Great steaks! 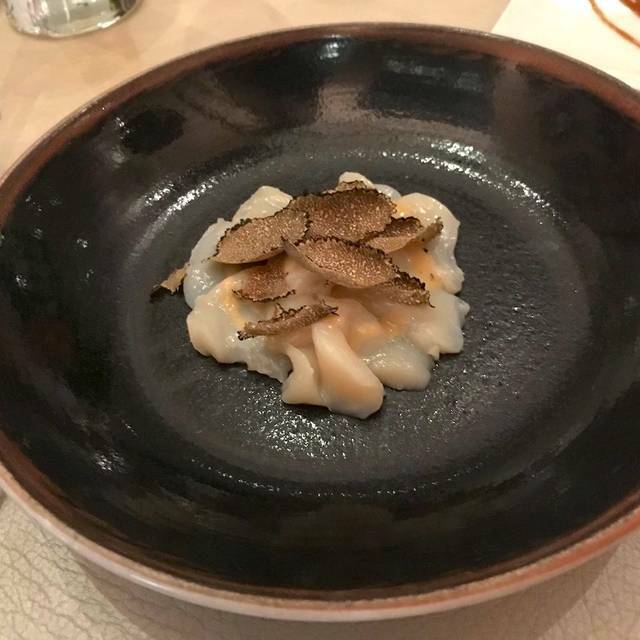 Service was a miss- took 2 hours to get through two courses. Staff very friendly but slow. The quality of the food is waaaayyyy below the price mark they are charging. I can honestly say one and done. If you do go... make sure you ask for a table away from the hotel lobby. If you don't, you can wave to guests as they check into the Archer Hotel. The service is good and the steak is nice. I would probably go again. Wouldn't recommend this restaurant for brunch. At 11:30 am the place was nearly empty, yet the wait staff was too busy talking to each other to take care of customers. I had to get up to ask someone to take my order. Only the hostess was paying attention. If she hadn't noticed I was ready to pay the check, I would still be there. Food was grossly overpriced relative to the portions. Two eggs, a few small pieces of steak and potatoes for $27. $8 latte in a small cup. Maybe I'm the last person to figure out that this is not a good place to have brunch. When I left, there were very few people there. Perhaps dinner is better. But I won't go back. Food was outstanding. 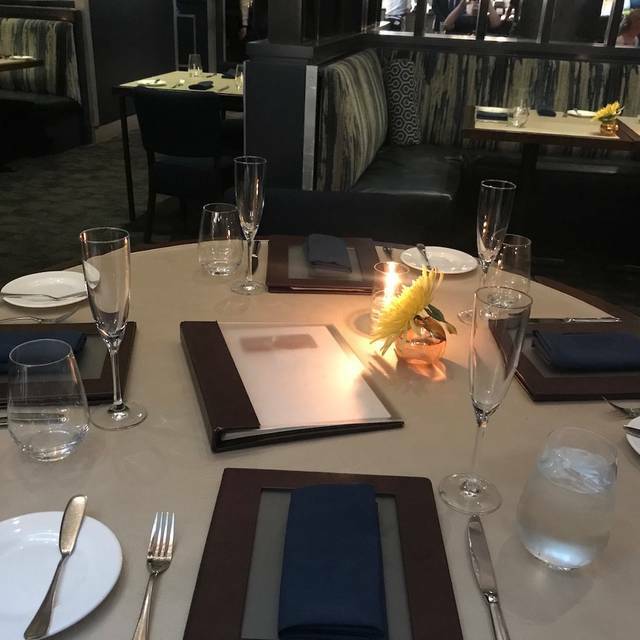 The staff was very knowledgeable about everything on their menu, especially wine and wine pairings, and even went above and beyond for us while we were celebrating a birthday. One of, if not, the best steakhouses we’ve visited in the United States. We ate an early dinner on a Sunday afternoon. The service and food was excellent. Extremely pricey. The food was good, but overpriced for just a so so steak. The was not what I expected due to its size. I have bought bigger steaks at a local grocery store. The amount of ala Carte dishes was overwhelming. Drinks were pricey(22.00) for a glass of Malbec unheard of. When we did get served they mixed up everyone's order. They had to be called back to fix everyone's plate, since the plates were hot. Due to place being empty at first, we had too many people hovering & watching every move. Very unsettling. Celebrating a three year anniversary. Was good service and food. Not blown away however. Getting an early dinner since we are going to a concert. We order the grilled veal chop. Wife’s chop was ok not much flavor or anything to warrant $49. My chop however was I under cooked for the most part. The waiter offered to correct issue however after waiting 20 minutes in a slow restaurant I opted to eat areas that were cooked and got few slices from my spouse. I felt I didn’t have time to wait for another chop or anything else. After all I am in a steakhouse one would think they could get it right. 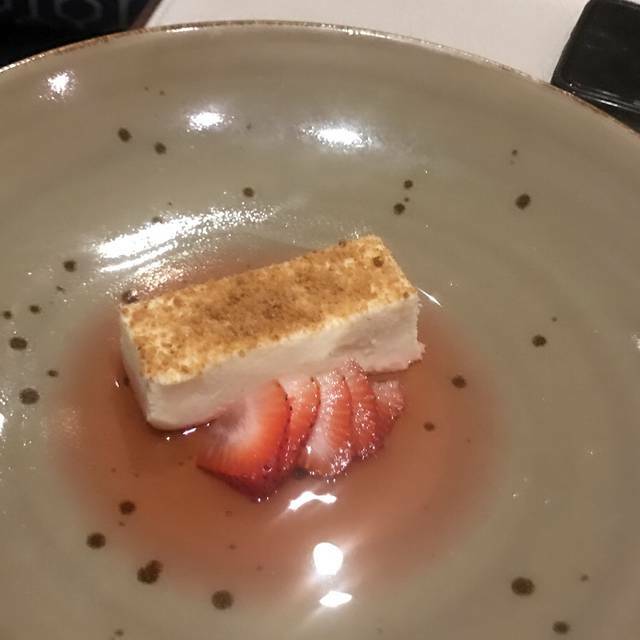 So they comped me dessert because I was unhappy however my expectation would have had my meal completely comped since I barely ate anything & was a guest in the hotel. It was the only reason I went there. 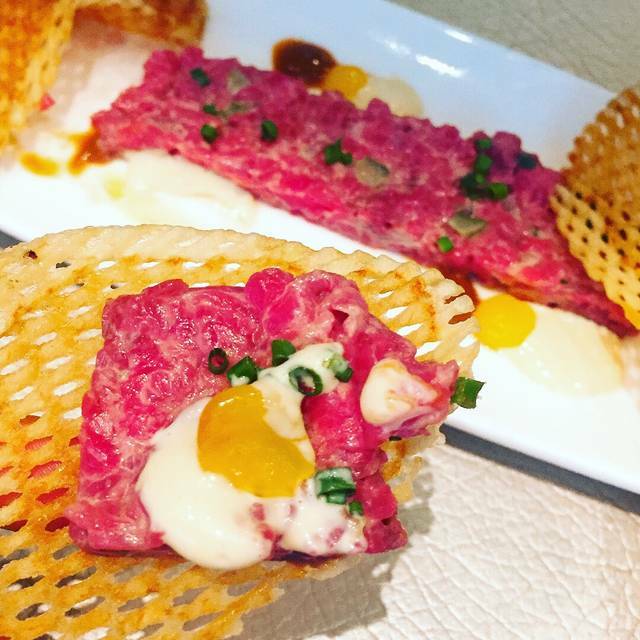 The quality is not there to warrant high end steakhouse prices. Late lunch, empty dining room for some reason took a long time to arrive. But delicious when it finally did. We visited for Saturday brunch. Menu was limited, but food was fantastic - tuna tartar was especially unique. I had the Restaurant Week dinner. Pasta, steak frites and cheesecake "pudding" for dessert. All courses were delicious. The steak was cooked perfectly with a black peppercorn sauce. Fries were good too. A great deal for $42. Charlie Palmer Steak never disappoints. We had lunch during restaurant week. The onion soup and steak sandwich were excellent. 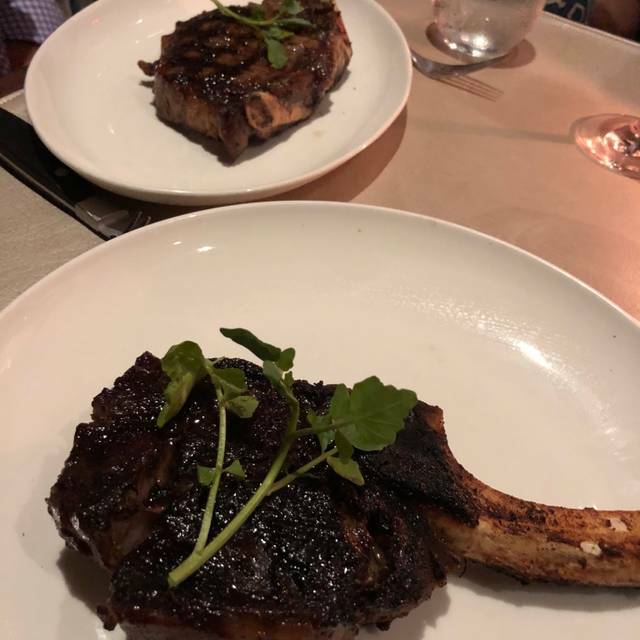 Service was excellent and unlike most NYC steakhouses, the atmosphere is relaxed, modern and not so loud that you can't carry on a conversation. An excellent place for a business lunch that is actually relaxing! Meh. Much more à hotel restaurant than a fine dining experience. Went for restaurant week and it was definitely budget hotel eatery not the Charlie Palmer experience or cuisine I expected. I am very happy I was able to experience this place during restaurant week. Everything was great. I would definitely dine in again and pay full price! We went during restaurant week, as we plan our trip to NYC during this time every year. Compared to the other restaurants and their prices fix menus, these portions were small and showed very little imagination. However, the service was outstanding! Not worth it, seriously. The meal cost us $120 while can be bought for $20 in deli. Poor flavor, very disappointed. One of my favorite restaurants: delicious onion soup, excellent sliced steak sandwich, really good coffee and fine wine made up this season’s Restaurant Week menu. We went for restaurant week in NYC. Overall the quality of the food was poor and the portions were small. 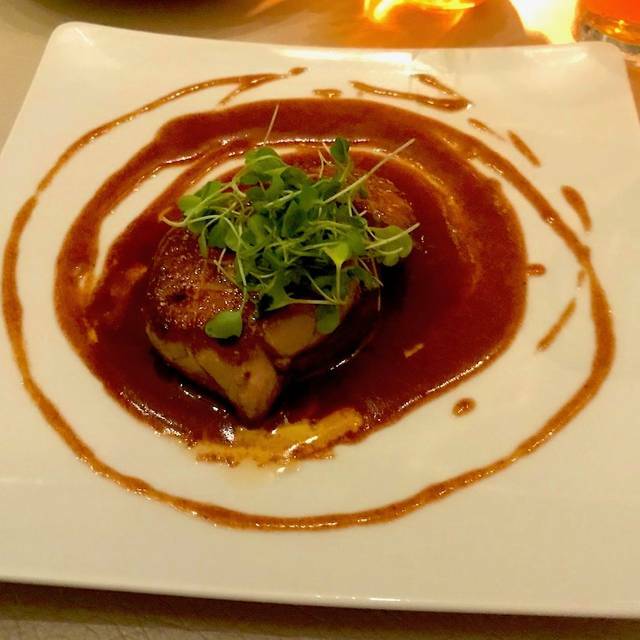 My friend didn’t order off the restaurant week menu and her meal was equally lack-luster. My steak didn’t have any flavor. The staff were very attentive and nice but the quality of the food does not match the prices. Also the drinks and wine by the glass offerings are all super pricey. Lastly this location feels like you are eating in a hotel lobby. If you want to charge top dollar, provide a top dollar experience. Once upon a time, in Midtown East, there was a very good restaurant called Charlie Palmer Steak. It did not live happily ever after in the Garment District. Service was "distracted" at best--though the restaurant was neither overcrowded nor over-large, the attention of the ample staff seemed elsewhere. And the food was middling...in fact it tasted pre-heated. I suppose the marquis name of this celebrity chef was added to a rather undistinguished hotel to make it a destination. Pity that his name was bought with no evidence of his supervision. This was a trial balloon during NYC "Restaurant Week". Needless to say, the balloon never achieved liftoff. Nice presentation and tasty food. 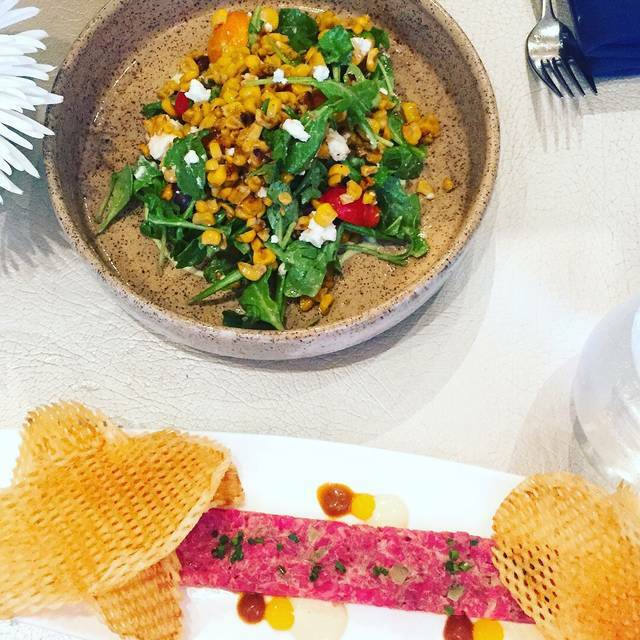 NYC Restaurant Week helped us discover this new location that we really enjoyed. Will pass the word! Food is OK, nothing special. But the service is good and deco is new and pleasant. It was for a birthday celebration. Restaurant week portion of steak was small and fatty. They replaced it, but be aware if you are ordering off the special menu. We had to wait more than 40 minutes to be seated for our 8PM reservation. That being said, they were very nice to us and offered us a drink on them in the bar area. Once seated we quickly were able to order a nice bottle of wine and the service for wine was great. Ordering our main took some time and we literally had to flag down a waiter to help us. We ended up ordering off of the restaurant week prix fixe menu (it was never explained or mentioned to us but a small paper menu was sitting inside the larger one). The food was average at best. Very small steak with side of frites. The fries were hot and very good but the plate looked like it should be served in a fast diner. Presentation poor. The meat was overcooked but at this point it was near 10:00 and we didn't want to complain, we just wanted to eat. It was an enjoyable evening because of the company and the scene was vibrant and people were enjoying themselves. I'd give it another try but would order off the primary menu and see if it was better.